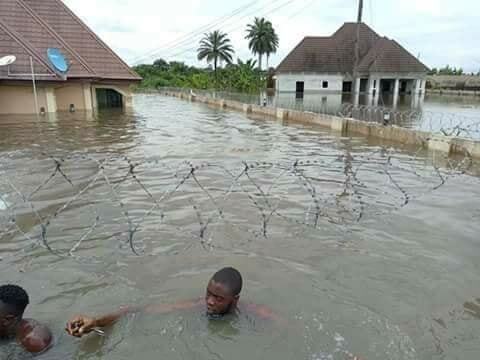 Some residents of Delta state have been seen swimming all the way to their houses as heavy flood wrecks havoc in many communities of the state. 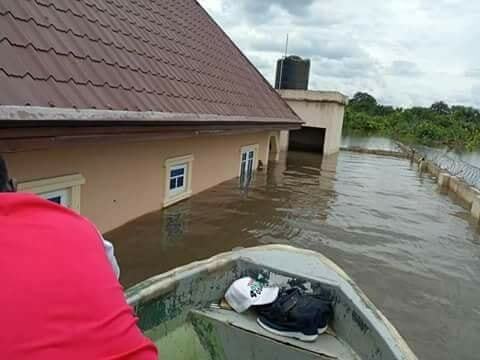 No less than 5,000 people have been reportedly rendered homeless, with hundreds of hectares of farmland and properties worth millions of Naira destroyed in Isoko South Local Government Area of Delta State, following the flood that submerged several communities in the council area. Akemu and Asarueha camps, Odabor all in Ikpide-Irri riverine community; Uzere, Ivrogbo-Irri, Araya, Emede, Umeh, among other communities in the local government council. A visit by SR to Akemu and Asarueha camps, Odabor of Ikpide-Irri riverine community, revealed houses and other valuables submerged in water, while residents including little children were seen being ferried away with boats to safer places. It was also observed that some parts of the Ikpide-Irri main town was already being overtaken by the flood, just as residents in the area passionately appealed to corporate bodies, good spirited individuals and all relevant authorities to send relief materials to them. Meanwhile the Delta State government has established Internally Displaced Persons (IDP) camps in Emede and Ozoro, Isoko South and Isoko North local government areas of the state to cater for displaced persons.